Charter transfer from Pemba Airport. Duration is approximately 25 minutes. Imagine a remote Mozambican island lost in time and almost forgotten to the outside world for nearly a century. Picture grand, majestic architecture, some lovingly restored to their former glory while others have fallen into crumbling, marvelous ruins. Be whisked to an idyllic white sandbank beach and dive some of Africa’s richest coral reefs. Snorkel, sea kayak, swim, fish, massage and relax. 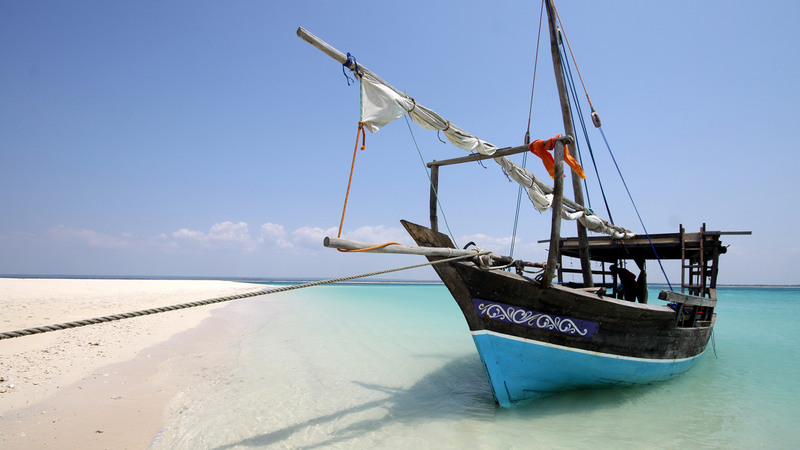 Take a Quirimbas mobile island hopping dhow safari. Snack on cashew nuts and tropical fruit and feast on seafood of every description. Recline high on our mesmerizing roof top terrace overlooking the ocean and track the slow and steady dhows that drift across the blue horizon. Refresh your senses with a massage and indulge yourself with a frosty cocktail at one of the pools. Mozambique accommodation at Ibo Island Lodge is award nominated and has been described as one of the most magical, atmospheric and unique lodges in Africa. Stay for 5 nights & the bride receives 40% discount on accommodation. Stay 7 nights & the bride receives 40% discount on accommodation plus the groom receives a complimentary night. Valid until 07 Jan 2019 – 31 Jul 2019 & 01 Sep 2019 – 10 Dec 2019. T&C Apply. Stay for 5 nights and pay 4, Valid for 07 Jan 2019 – 31 Jul 2019 & 01 Sep 2019 – 10 Dec 2019. T&C Apply. Beautiful high and low tide ocean views that change throughout the day. Air-conditioning, ceiling fans, wide verandas, magnificent king size 4 poster beds, luxury cotton and silk linen in the sea-facing rooms. The historical rooms which are beautifully restored with wide verandas facing lush tropical gardens at the rear of the Niassa mansion. 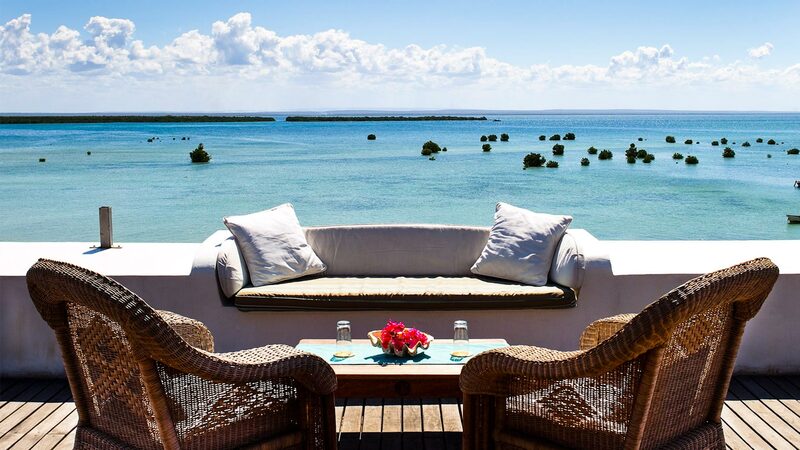 A perfect setting to explore and discover on a Mozambique Holiday. 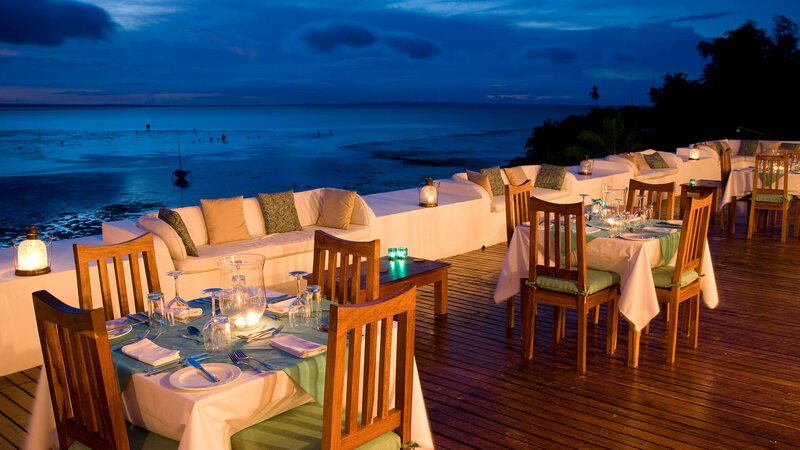 The team at Ibo Island Lodge are passionate about offering guests an all time favourite meal. Fresh bread is served everyday and they offer a very wide variety of cuisine choices with candle lit dinners al fresco with imaginative sea food taking pride of place. The food at Ibo Island Lodge is exceptional with attention to excellence. Barefoot luxury with very rich history. For those who enjoy history, Ibo Island is the perfect destination.